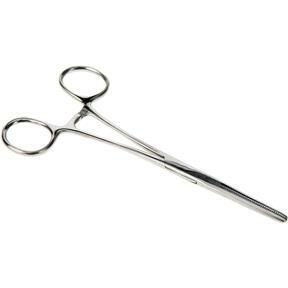 These stainless steel Hemostats offer precision serrated micro-teeth and multi-pressure locking jaws. Perfect for all types of uses around the home and shop. Choose from straight and curved styles in three different sizes (See H0438-H0443). Not for medical use.